Rooting and installing a custom recovery on the Samsung Galaxy S4 is the best way to start off if you ever want to customize your device. It doesn’t matter if you install a custom recovery to get root access first. The following guide after the break shows you how to root Samsung Galaxy S4 SGH-I337 smartphones running Android 5.0.1. 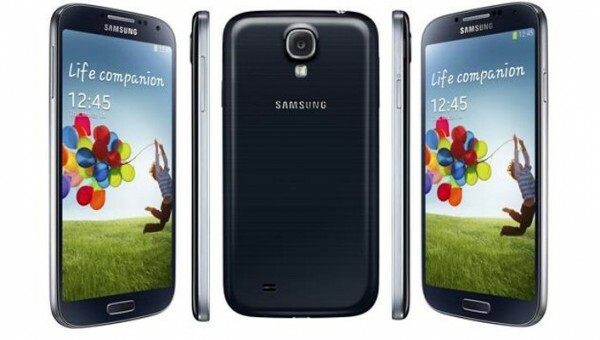 The following guide is made for the Canadian Samsung Galaxy S4 with the model number SGH-I337M only. Moreover, you should have the S4 running Android 5.0.1 Lollipop since that’s what this rooting method is based on. Downgrade to that same firmware if you are reading this in the future and are running a newer firmware like Android 5.0.2 or even Android 5.1. You must unlock the Canadian Samsung Galaxy S4 bootloader before starting the guide. Continuing with a locked bootloader will probably brick the device according to the developer of the rooting tool. Make sure you have the USB Debugging Mode turned on before you start the guide to rooting the S4 smartphone. You can tap on the Menu > Settings > About Device and then over the build number 7 times to unlock the Developer Options menu on your Galaxy S4 device. Now that you have the Developer Options unlocked on your Sammy S4 handset, enter it from the Settings by tapping on the Menu > Settings > Developer Options and enable the USB Debugging Mode. Leave the Developer Options menu and the Android OS will remember your preferences. Download the Samsung USB Drivers directly to your computer. The computer must be a Windows PC or else the Odin flash tool we are using in this guide will not work. Download the I337M rooting exploit from this link  and have it on the desktop of your computer. Right-click over the file and extract it on the desktop. Turn off the Galaxy S4 and reboot it up in download mode . Connect the Canadian S4 to the computer with the USB cable. Click the PDA button found from the Odin user-interface and load your rooting file. Click the Start button and Odin will flash the file on your device. Once the pass message is on the display, the SuperSU is enabled on your device and you are ready to start installing your new apps, custom kernels and ROMs. One app I cannot do without on my rooted Android is the Quick Boot app and I recommend you install the same after you finish the guide above for rooting your device. The Quick Boot app can boot your device into just about any mode you need, including getting your custom recovery up and running. It does all this so you do not have to try to remember your hardware key combinations. The only usual problem with the Quick Boot app is that it requires root access before you can start using it. If it wasn’t for that, the app would be way more popular than it is today — and it’s already incredibly popular.